To the beach and beyond, there are plenty of options for your next tour of the world. From the Caribbean, Hawaii, Central America and Europe, the options for booking a destination wedding or honeymoon are truly up to you. I also specialize in all-inclusive beach vacations and tours of Australia and the South Pacific. With over 20 years of experience as an agent, I can arrange a custom getaway to meet your unique travel goals. Read more from my Beach and Romance Travel Specialist bio. Having travelled to Australia myself, I understand just how much there is for travelers to enjoy in this part of the world. Because Australia is such a huge continent, it can sometimes be overwhelming for first-time visitors. This is where I can help. Read more from my Australian and South Pacific Vacations bio. Costa Rica is not your typical vacation or honeymoon destination. While all-inclusive options are available, there are also plenty of activities for the adventurous traveler to appreciate. Read more from my Costa Rican Adventures bio. 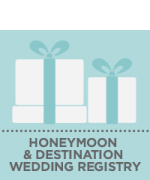 From large to small groups, planning your destination wedding or honeymoon is easy with me. While all-inclusive resorts in the Caribbean and Mexico are very popular beach destinations, I can create a unique experience for you no matter the destination. Read more from my Unique Weddings and Honeymoons bio. "Sheila is very helpful with our vacation planning. She is full of wonderful ideas and suggestions. Many times we go on her pre-planned group packages. She has everything already planned and reserved. She honestly could not make it any easier. She does a wonderful job and you can tell she really enjoys it. I would highly recommend her. Sheila is very knowledgeable about the travel industry and has always made booking a vacation with her an enjoyable and hassle-free experience." We have never used a Travel Agent before this trip but will not hesitate to use Sheila in the future. Sheila did a wonderful job planning our trip. We gave her our dates, a budget, and some general guidance (somewhere warm with a beach). She took care of the rest. This was one of our best vacations ever. Sheila was great to work with! I work weird hours so we did most of the planning over email. She was always available for questions, and was very quick to respond. we changed our mind several times and not only was she super patient, she gave us good recommendations. I would definitely use Sheila again when booking a trip! Sheila is very helpful with our vacation planning. She is full of wonderful ideas and suggestions. Many times we go on her pre-planned group packages. She has everything already planned and reserved. She honestly could not make it any easier. She does a wonderful job and you can tell she really enjoys it. I would highly recommend her. Sheila is very knowledgable about the travel industry and has always made booking a vacation with her an enjoyable and hassle-free experience. It was our first time to an all inclusive and Sheila picked the perfect spot for us!